To provide positive mentorship for younger athletes and to encourage connection throughout the Firebird Girls Basketball program, Coach VanderHorst has launched a "Basketball Buddies" program that pairs varsity athletes with middle school athletes. On game days, the varsity players deliver encouraging notes and treats to their buddies. Though the middle school players aren't expected to reciprocate, many do. 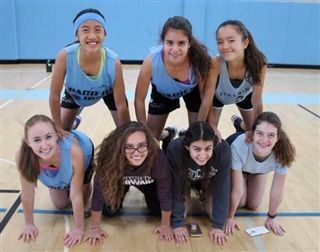 "My buddies are always energetic, cheering me on, giving me advice, and are the first ones to give me a hug or make me laugh," said 8th grader Kimberley Cheung. "It means a lot to have their support on and off the court."